I’ve ranked the Top Online Shopping websites primarily based on the online store’s popularity, global website ranking (alexa.com) and the range of products they have to sell. In my previous post, I wrote about Top 3 Global Online shopping sites, and Top Shopping sites in India. American Online shopping websites ranked 2019! Here is the list of top 15 eCommerce or online shopping platforms in the US that caters to almost all your shopping requirements. I’ve also given their Play Store (Android) and Apple Store (iPhone) Apps with the ratings. 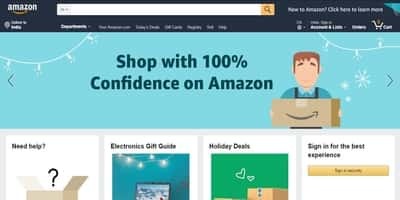 Amazon is the world’s largest eCommerce platform and ranks first in our online shopping websites list, Amazon sells almost all kinds of products including fashion, electronics, furniture and more. Walmart is an American multinational retail corporation that operates a chain of hypermarkets, discount department stores, and grocery stores in addition to their eCommerce platform. 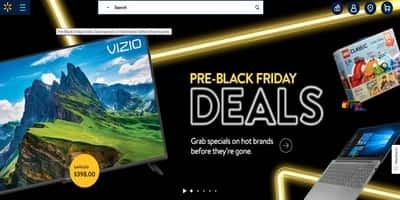 BestBuy is US’s largest electronic specific eCommerce store that sells electronics, computers, appliances, cell phones, video games & more new tech. Target much like Walmart operates both an eCommerce platform and chain of retail stores. Much like Best Buy, New Egg is an eCommerce platform that sells computer parts and hardware, hard drives, cameras and software as well as electronics, tools, appliances, sporting goods, jewelry, watches, gaming and more. OverStock is a Fashion eCommerce platform that sells women and men clothing, designer wear, shoes, watches and more. ASOS is an online fashion house that trends in menswear and womenswear. On ASOS one can shop from a wide collection of clothes, accessories, beauty and more. Much like Amazon, eBay to sells almost everything including electronics, cars, fashion apparel, collectibles, sporting goods, digital cameras, baby items, coupons, and everything else. On eBay, one can also sell their used or new goods to others that work on a bidding model. Macy’s eCommerce platform sells latest fashion brands on Women’s and Men’s Clothing, Accessories, Jewelry, Beauty, Shoes and more. Etsy is known for selling handmade gift, vintage & on-trend clothes, unique jewelry, and more. Gap is clothing and fashion eCommerce websites that offer their own line of women’s, men’s, maternity, kids’ & baby clothes. GameStop is world’s largest retail gaming destination for Xbox One X, PlayStation 4 and Nintendo Switch games, systems, consoles & accessories. QVC sells a wide range of products including appliances, electronics, clothing, cosmetics, jewelry and more. This online shopping site also runs a TV based shopping channel. Much like Amazon and eBay, Kohls sells everything that is sellable including clothing, furniture, electronics, appliance, jewelry, shoes, watches etc. Zulily is an online shopping platform for clothing and accessories for moms, babies, men, and kids. They also host a range of products including home décor, toys etc. These are the best 15 American E-commerce sites based on my ranking in 2019, you can show your suggestions in the comments below.